Now, you all know how I love projects that promote the hidden gems of the fairy tale universe. Erstwhile does just that. Erstwhile is a collaborative effort between three successful and experienced webcomic artists, Gina Biggs, Louisa Roy and Elle Skinner who are members of Strawberry Comics, a studio dedicated to promoting women in comics. 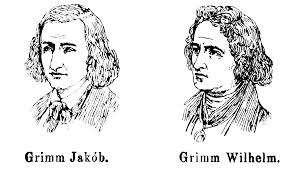 Each of these three wonderful ladies takes the drawing duties in a rotation of less famous stories taken from the collection of Jacob and Wilhelm Grimm. That’s right. It’s our old friends Jacob and Wilhelm again. However, if you ask me, they could have no better illustrators than Gina, Louisa and Elle. Each one brings a unique style to the tales depicted. Even in their own styles, you’ll notice them experimenting with stylistic elements to bring different qualities to each story (for example, compare the grainy, sepia-toned backgrounds of Gina Biggs’s “Doctor Know-it-all” to the brighter colors of her “Snow White and Rose Red”). On the whole, their adaptations are very faithful. On occasion, the artists will add elements to expand on back story or motivation or at the very least give the characters names. However, it is never anything that changes the story’s basic essence. In fact, they often include elements that other adapters might take out. For example, many fairy tale fans know how things happen in cycles of three in the old stories. While movies, TV shows or comics might reduce them down to one to avoid repetition, I’ve found that the artists of Erstwhile often keep them. That’s something that makes this little fairy tale geek smile. So far, they’ve adapted about fifteen tales are in the midst of a sixteenth one. I don’t like picking favorites out of such a wonderful body of work but if I have to I’d have to say mine would be “Snow White and Rose Red”. 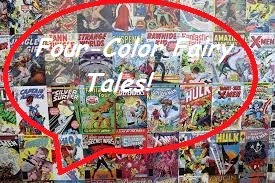 If you’re the type to prefer reading your comics on paper, you could also give one of their book compilations a try. The artists of Erstwhile have held two Kickstarter campaigns to get their work printed in book form and both have been successful! (I should note that I’ve contributed to both). However, I would strongly advise you to follow Erstwhile in webcomic form. Not only do you have the chance to get your fairy tale fix twice a week (I believe it updates every Monday and Thursday) but you’d miss out on the Erstwhile community as well. The comments section on each comic is a lot of fun to read and full of fun conversation provided you follow the ground rules set down by the authors (right now comments are disabled because too many people were posting spoilers, but it’ll be back). Trust me, if you give Erstwhile a try you’ll be glad you did. Already an Erstwhile fan, let us know and tell us which story was your favorite in the comments section below. 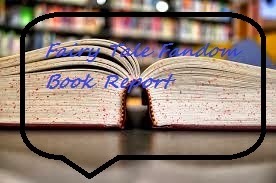 Fairy Tale Fandom Book Report: The School for Good and Evil. Y’know, these days it seems like there are so many new pieces of fairy tale fiction coming out that it’s hard to keep up with it all. That’s why you’ll find that, more often than not, I follow the lead of the numerous “retro” or “nostalgia” reviewers who populate the internet. I look at the old material that’s coming out and see what’s worth digging up. Besides, it’s easier to get older material when you’re using the public library to access it (hey, I’m working with a peasant’s budget, not a prince’s budget). However, in this case, I feel I need to write this review now. It’s not for a book that just came out. In fact, it’s for a book that I believe came out last year. So, why the rush? Why, it’s because the sequel to this book is coming out TODAY and I feel the need to recommend what could be the beginning of a great series before it slips past anyone. What is the title of that book? It’s The School for Good and Evil by Soman Chainani. Yes, we’re delving once again into the world of contemporary children’s literature. However, it’s very good children’s literature. First, before I go on, I must say something that I didn’t get to say in my “Ever After High” post. I am so jealous of both Soman Chainani and the people at Mattel. I had an idea for a story involving a high school for fairy tale characters before I heard of either Ever After High and The School for Good and Evil and I missed my opportunity because I dragged my feet rather than writing it down. Curse my procrastination! 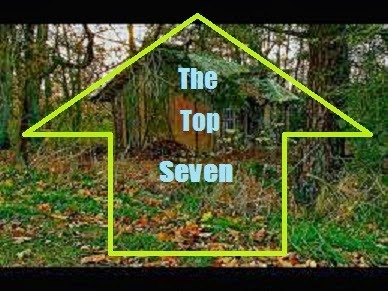 Anyway, the premise of the story is this: there is a village in the middle of the forest named Gavaldon. Every few years, a shadowy being called the School Master comes and takes two children over the age of 12 away to a mysterious place called the Schools for Good and Evil. The missing children are inevitably spotted again, only this time it’s in the illustrations of story books. That’s right, the Schools for Good and Evil are where fairy tale heroes and villains are made. Now, there are two children in Gavaldon whose fate is tied with this school. One is Sophie, who is pretty, blond and fair and seemingly destined for a royal life. The other is Agatha, who is pale and surly, always dresses in black and lives in a house in the local cemetery. Despite appearances to the contrary, Sophie and Agatha are friends. Sophie wants desperately to be taken away by the School Master so she can become a princess. 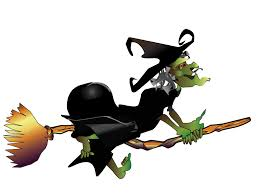 Agatha’s mother wants her to be taken so she can become a witch, but Agatha likes things just fine the way they are. Inevitably, the School Master does come and takes them both away. However, things take an unexpected turn for both girls when Sophie gets dropped into the School for Evil and Agatha gets placed in the School for Good. Surely, a mistake has been made . . . or has it? The School for Good and Evil is a story that plays with the many stereotypes and assumptions that people have about fairy tales and how fairy tale heroes and villains are meant to look and act. It’s also a story about the many shades of grey between good and evil. Most of all, though, The School for Good and Evil is the story of an unlikely pair of friends. If you’re one of the many people out there who tires of fairy tale fiction focusing on romantic love, this may be the book for you. While there are certain romantic elements centering around a prince named Tedros (son of King Arthur and Guinevere), the soul of the story is the friendship between Sophie and Agatha. 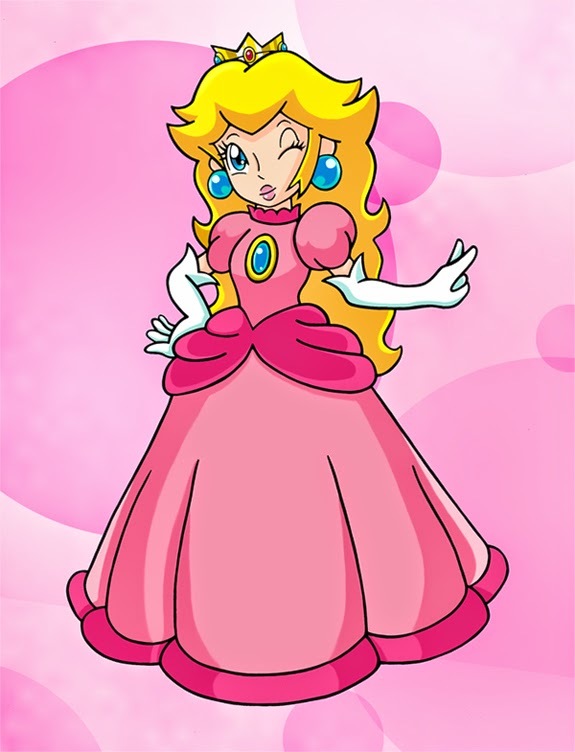 (Yes, I know that’s Princess Peach from Super Mario Bros., but it’s the most stereotypical pretty pink princess I could find this side of Disney). If you missed this one, The School for Good and Evil is a real treat. Hopefully, The School for Good and Evil: A World Without Princes which hits stores today is just as good. We may just have a new heavy hitter children’s book series on our hands. Don’t miss this one, check your local library or book store as soon as you can. Read this book already? Give me your thoughts in the comments below. 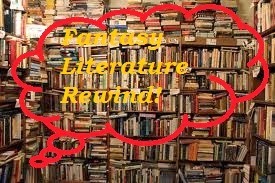 Fantasy Literature Rewind: Through the Looking-Glass. These are the first few lines of a poem that appears at the beginning of Lewis Carroll’s book Through the Looking-Glass. You can tell from the text that the man was a fairy tale fan, even if it was only in terms of telling them to children. 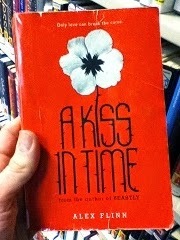 Many scholarly types wouldn’t consider Carroll’s books to be fairy tales, though. For the purposes of pop culture and this column, we’re going to include them. Now, why choose Through the Looking Glass, though? Well, it’s come to my attention that this book isn’t getting its due. In fact, it’s the most curious thing. Some people out there seem to be under the impression that Through the Looking Glass and Alice’s Adventures in Wonderland are the same book. I mean, I suppose I can understand why this might be the case. The two books share a primary character. They also have a similar nonsensical quality to them. Also, in popular culture, it has become common to cherry pick different bits of both books and include them all in adaptations of the Wonderland book. One of the most notable is the animated movie made by those Mouse-Ears people . . . There's also the live action special effects blockbuster by those same people . . .
As well as more recent works like certain grown-up dramas also made by the Mouse-Ears people . 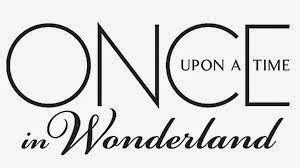 . .
(Granted, I actually like that show a bit more than their other “Once Upon a Time” show. I’m sorry to see it go now that it's cancelled). Now, I know that most people don’t see this as a big deal. However, I think that, because of this, Through the Looking Glass could use a little TLC (that’s “tender love and care”). It deserves a little extra special attention and boosting because it hasn’t had it in a while. First, some background on the author. 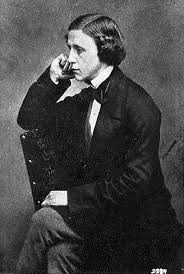 Lewis Carroll was the penname of Charles Lutwidge Dodgson. Dodgson was a mathematician, logician, Anglican deacon and photographer. Let’s let the irony of that sink in for a second. The amazingly nonsensical worlds of Wonderland and the Looking-Glass Country were created by a mathematician and logician. He was one of eleven children and suffered from a stammer as well as a number of other physical ailments. He did a fair bit of writing but it wasn’t until one day when he invented the story that would become Alice’s Adventures in Wonderland to the children of a friend that his fairy tale destiny was written. One child, Alice Liddell, liked the story so much that she insisted he write it down. He did and gave it to her as a gift. He then showed the book to another friend, George MacDonald (author of literary fairy tale The Princess and the Goblin among others). After an enthusiastic review from MacDonald’s children, Dodgson decided to get it published (some accounts say that he was urged on by novelist Henry Kingsley). The book hit the stands in 1863 and was an immediate success. The sequel Through the Looking Glass was published in 1871. Other things have been said about Lewis Carroll, but I’m going to leave it at that, because I’m a nice guy. Anyway, the story starts off with the ever-imaginative Alice playing with her cat Dinah’s two kittens, one black and one white. As she’s playing, she starts to wonder what it would be like to pass through the mirror over the mantelpiece and pass into the other side. Alice suddenly finds herself on the mantel, not knowing how she got there, and notices that the glass in the looking-glass has turned into a sort of mist and in a moment, Alice finds herself on the other side of the looking-glass. Inside the looking-glass house, she finds that things are just a little bit different. Some items on the mantel that she can only see the back of through the mirror are different in the front. She also comes across a collection of chess pieces that are all alive. She takes a look at a book and realizes that she can only read it by putting it up to a mirror. In the book, she finds the one poem that every children’s literature fan, fairy tale geek and Lewis Carroll scholar seems to take great joy in stumbling over. That’s right, it’s “Jabberwocky”! 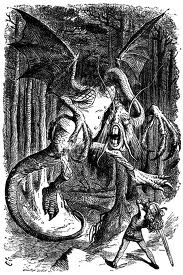 Alice never actually meets the Jabberwocky, so don’t let Hollywood fool you on that point. 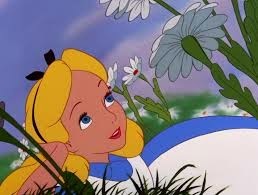 Alice then leaves the house and goes outside where she encounters some talking flowers and, more notably, the Red Queen. 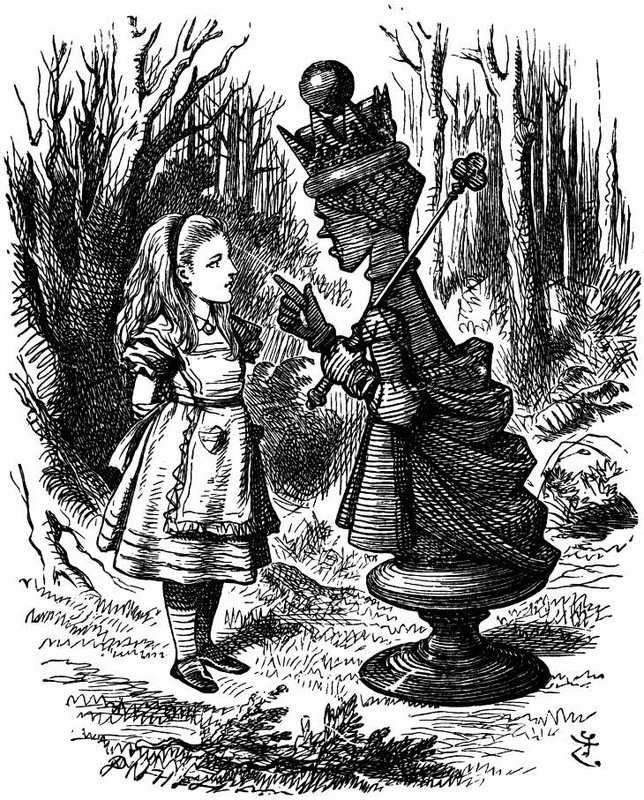 The Red Queen from the chess set has grown to the size of a human being and shows Alice that the Looking-Glass Country is laid out like a giant chessboard. After Alice muses that she would like to be a queen, the Red Queen tells her that it is possible if Alice becomes a White Pawn and manages to get to the eighth square on the chessboard (note: this is in keeping with the rules of chess. A pawn that gets to the other side of the board can be exchanged for a Queen that has been captured). This sets the stage for the rest of Alice’s adventure in the Looking-Glass Country as she moves from squares to square. I think this is an interesting set-up, basing the adventure around a chess game. Also, Alice’s goal of becoming a queen is interesting in comparison to her more directionless wandering in her trip to Wonderland. Along the way, she meets a number of different unusual characters. 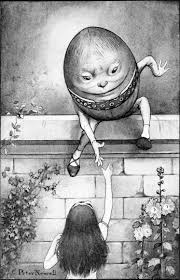 These include Tweedledee and Tweedledum who recite poetry for her, introduce her to an existential quandary regarding the Red King and then act out their nursery rhyme. She also meets the ever-famous Humpty Dumpty, who tells her what an un-birthday is, recites some more poetry and butchers the English language as he sees fit. It isn’t long after that Alice makes her way to the eighth square and becomes a queen. I don’t want to give too much away because it’s better to read it than hear about it. After all, you miss some terrific, nonsensical wordplay if you just hear about it. Now, you may just be thinking “Well, that’s all well and good, but why’s it a big deal to focus on this book separate from Alice’s Adventures in Wonderland? What makes this book different from the other Wonderland book?” Well, you have a little bit of a point. They’re both nonsensical, dream-like adventures featuring Alice. However, it should be noted that when taken together, there is far more nonsense in both than you can ever get in one of those “greatest hits” Alice in Wonderland adaptations. Also, Carroll scholars will point to other things. The two books are kind of mirror images. While Alice’s Adventures in Wonderland takes place in summer, Through the Looking-Glass takes place in late autumn. 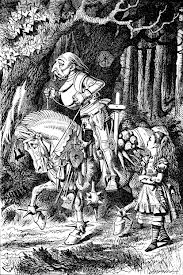 While Wonderland uses cards, Looking-Glass uses chess. However, there is one other thing that I personally noted upon reading this book. Unlike the characters in Wonderland, the Looking-Glass characters are not mad. It’s the world behind the looking-glass that is mad and the characters just comply with it. Everywhere Alice goes, the rules as she understands them do not seem to apply. Or, rather, they seem to apply one moment and not apply the next. Shortly after meeting the Red Queen, the Queen takes Alice’s hand and starts running at fantastic speed. When they stop, Alice notices they are in the same place. The Queen tells her that this is because in that world, you have to run as fast as you can just to stay in one spot and run even faster to get anywhere. This does not seem to make sense though, as walking at normal speed gets people to all sorts of places. 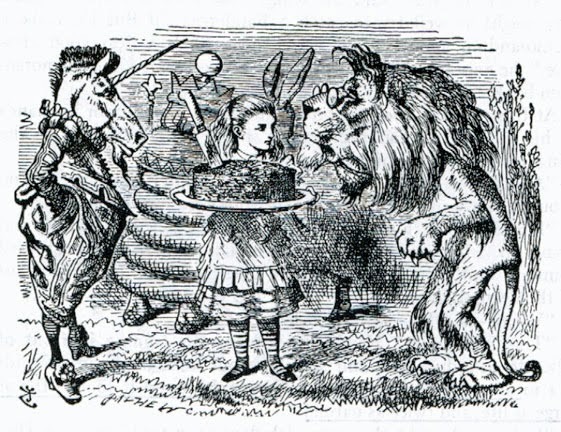 Later, the Lion and the Unicorn instruct Alice in how to serve looking-glass cake which involves cutting it after it has already been passed around. This happens throughout the book. 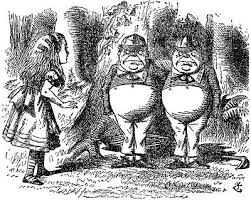 Tweedledee and Tweedledum manage to even call Alice’s reality into question by suggesting she was dreamed up by a sleeping Red King. The only rules that seem to hold fast are the rules of the giant chess game that’s going on (which there are references to in Alice’s many interactions with the various chess pieces). 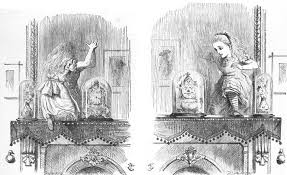 All in all, I think Through the Looking-Glass deserves a little more recognition apart from Alice’s Adventures in Wonderland. Partially because of the interesting set up involving the chess game and Alice’s goal of becoming a queen, and also because of the unique nature of the Looking-Glass Country being a place where the rules never seem to apply for very long. What say you?